Apple this week signed a straight-to-series order for a drama series from "La La Land" creator Damien Chazelle, according to reports from Variety and The New York Times. Little is known about the series at this time, but Chazelle plans to write and direct each episode of the series, as well as executive produce. Apple did not divulge information about the subject of the series, where it will take place, or how many episodes Chazelle will make. Chazelle is best known for writing and directing "La La Land," which starred Emma Stone and Ryan Gosling. 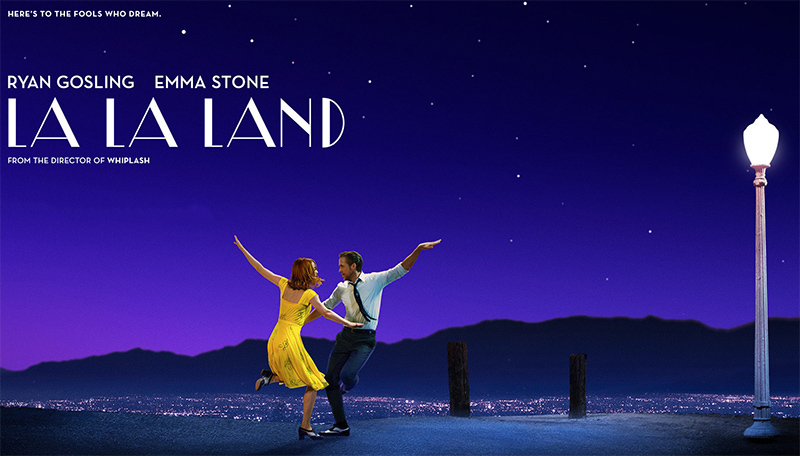 "La La Land" won six Academy Awards, including Best Director, and seven Golden Globe awards. In addition to "La La Land," Chazelle wrote and directed "Whiplash," an award winning film starring Miles Teller. The original TV series for Apple will be Chazelle's second television-related project, as he also recently inked a deal with Netflix to create "The Eddy," a musical series set in Paris. Apple has multiple other original TV shows in the works under the leadership of former Sony executives Zack Van Amburg and Jamie Erlicht, including a revival of 1985 Steven Spielberg sci-fi series "Amazing Stories," an untitled space drama developed by Ronald D. Moore, known for "Battlestar Galactica," an untitled "morning show drama" starring Reese Witherspoon and Jennifer Aniston, "Are You Sleeping," a psychological thriller starring Octavia Spencer that focuses on a podcast that reopens a murder case, "Home," a docuseries about amazing houses, and "See," a futuristic drama series. I watched the first, oh, half-hour of that, and flipped it off in self-defense. The musical score was CRAP, the characters were completely flimsy. It reminded me of a French guy's idea of Hollywood in the '60s. If only Apple was determined to make a good computer as they are desperate to have a presence in cinema. The more Apple delve into media content, the more irritating this is going to become. Any chance of another site for this sort of stuff? MacTVRumors or something? Apple is a joke now. And so is this website. Would Apple price anything at the low end? Right outta the gate AirPods were priced lower, and outperformed, wireless buds from other manufacturers. Apple does what it thinks is best and doesn’t act based on precedent or formula. I’d be loathe to make any firm predictions on what Apple is going to do or how they are going to price it. But if we’re dabbling in pure speculation, I’d guess that they might wanna deal a serious death blow to Spotify by creating at least one option that combines music + video in a way that they just can’t compete with. Somewhere around $15. Not that it matters, but I can't help but wonder what Steve Jobs would have thought of this. On the one hand, when he returned to Apple, he cleaned house by consolidating and eliminating all of the extra crap Apple was doing at the time. They cut out all of those ridiculous Mac lines (like the Performas etc.) and the pet projects (QuickTake camera, Newton, etc.) and they focused on the grid with four boxes: consumer laptop, consumer desktop, pro laptop, pro desktop. That was it. Furthermore, each computer only had a limited number of options. Steve's aesthetic seemed to be in line with the idea that less was more. One button on the mouse. Only USB ports on the iMac. No stylus with the iPhone. You all know what I'm talking about. So, now that Apple is diversifying it's Apple TV product into actual programming, and negotiating deals with producers, directors and entertainers, are they trying to juggle a little too much, or does it make sense and fit in to their overall business image and strategic goals? On the other hand, Steve was also CEO of Pixar, and he did seem to love being in the entertainment business. I do wonder how he'd feel about the direction Apple has taken since his death, but I can't help but feel that they have lost that innovative edge they had back in the late 70s and early 80s, and again in the late 90s and early 2000s. Regardless of the fact that Steve was not an engineer or programmer, he did seem to bring this priority of innovation to the company which neither Tim Cook nor Jony Ive alone can seem to replicate. Apple branded programming on the Apple TV? Interesting, but not exactly innovative. We'll see how it works out for them. Thank god this is coming and not wasting money on larger quality batteries in the iPhone.